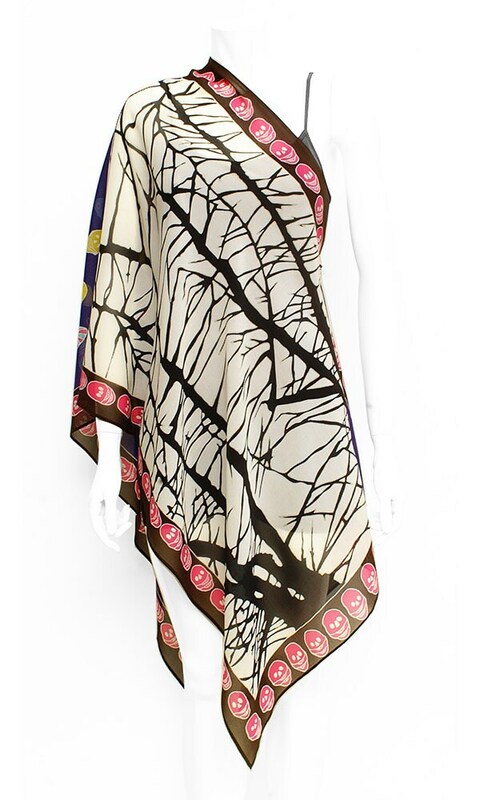 A Unique and one of a kind hand painted silk scarf with two color backgrounds. 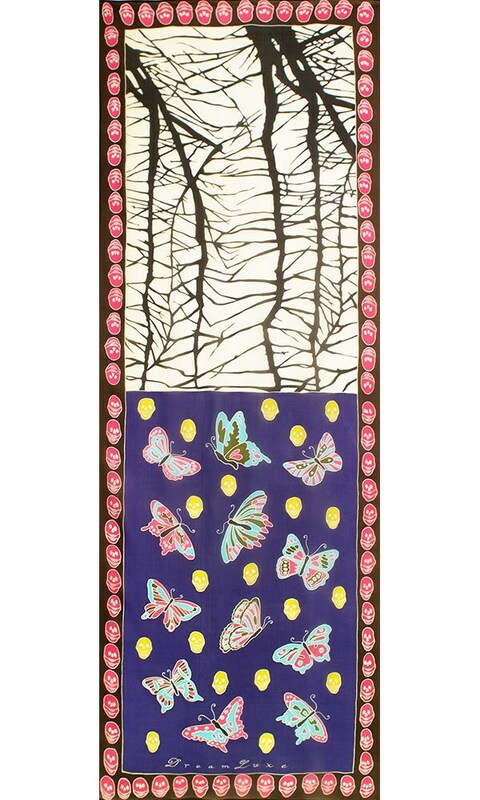 One with colorful Butterfly and skulls on a purple background and the other end with black and white branches. It is designed so you can achieve different color compositions depending on the way you wear it. 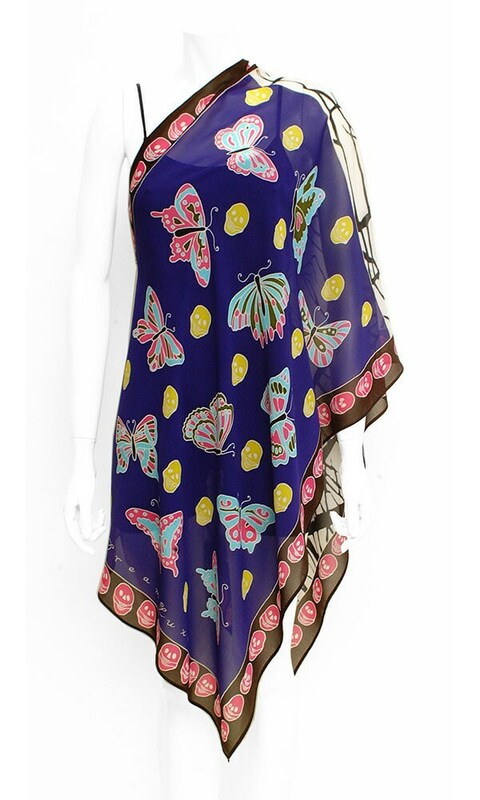 It is are made of natural silk, one of the most exquisite and elegant fabrics. They make excellent gifts for any occasion and never go out of style. Made with love for any women who care about handmade high quality and timeless pieces. 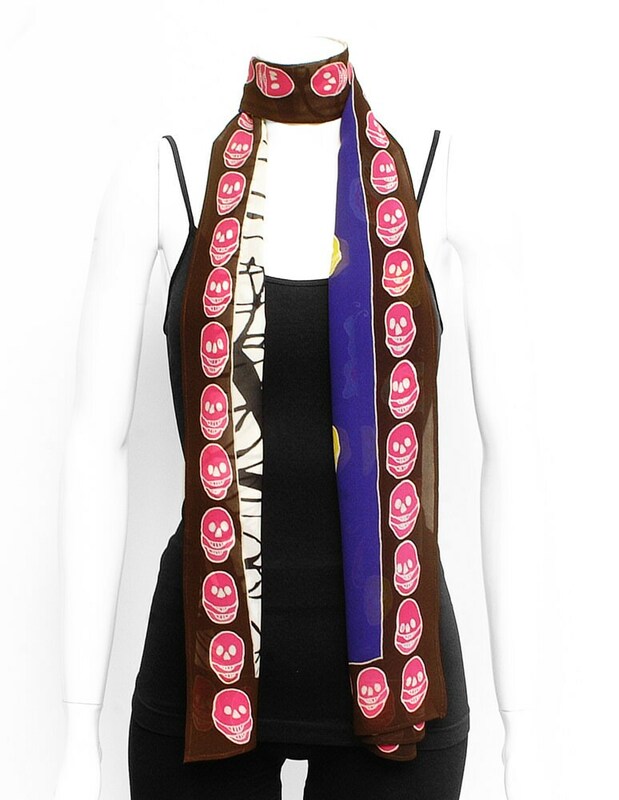 This scarf is Authentically hand painted using the ancient traditional technique of Batik. Batik is a technique of wax-resist dyeing. It took 6 day to create this wearable work of art.